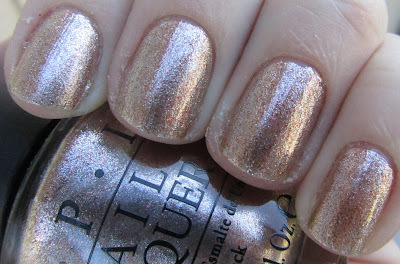 Polishology: OPI Muppets Collection - The Shimmers! 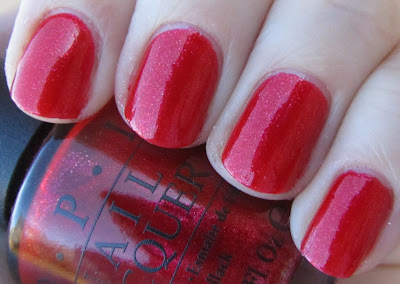 Finally, I have swatches of the OPI Muppets Collection for you! Getting to all of these swatches has been so crazy, between being busy with family, short peeling nails, and now being sick for three weeks. Ugh, this has been awful - sinusitis = no fun. It hurts to look at this screen. Anyway, now on to these wonderful polishes! 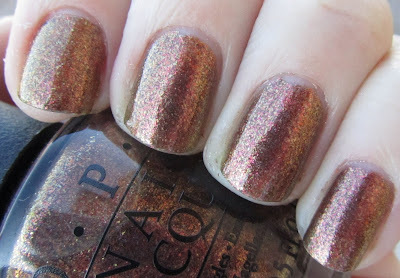 Shimmery silver metallic foil with copper flecks. This is really pretty, and very unique as far as I am aware. This is another really interesting foil. The main look it gives off is a rosy-bronze: it has brown/bronze particles, pinkish/red particles, as well as gold particles. It is a very interesting color to look at up close (I recommend clicking this one to see the larger image). Very pretty. 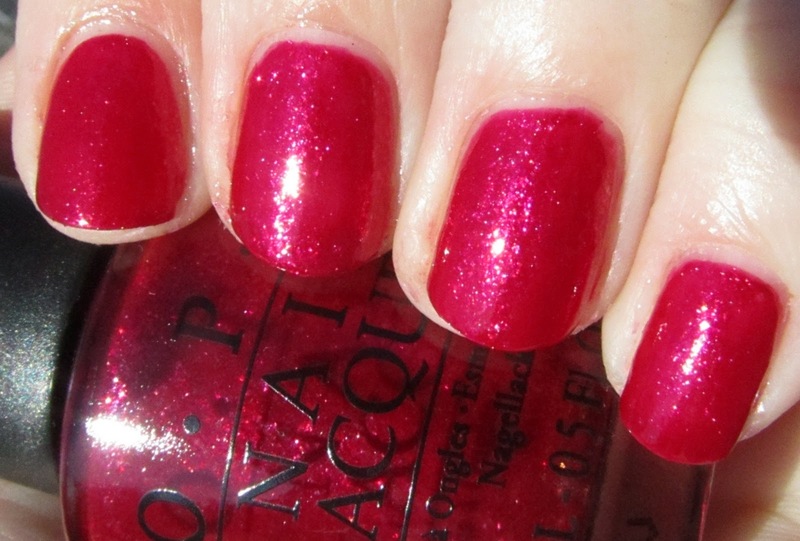 This is a really pretty red with glowing shimmer particles that make the color shift depending on how the light hits it. 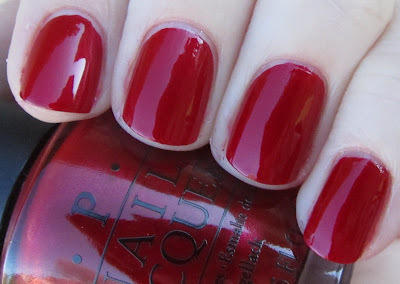 I am not always huge on reds but I do love this one! This is a deeper, blue-toned red with a very subtle shimmer. It was difficult to capture the shimmer in photos, so it looks like a creme here, but there is a subtle shimmer. A nice color, although personally a bit too bold of a red for me I think. My favorite of the entire collection! 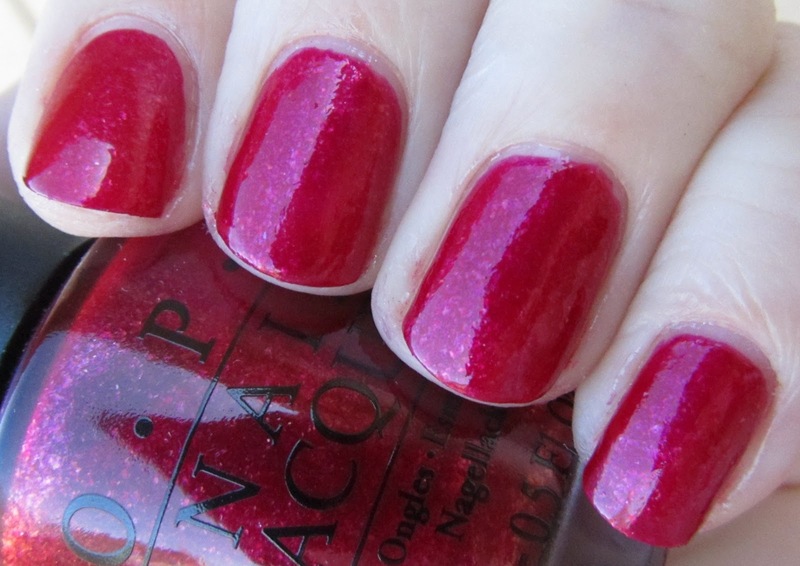 This is a gorgeous fuchsia packed with glass-fleck shimmer particles. This one really sparkles in the sun. Totally gorgeous. Another gorgeous glass-fleck shimmer polish. 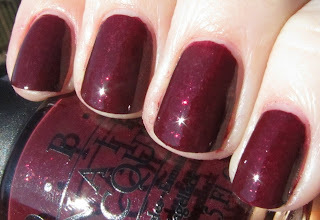 This is a deep wine purple with amazing shimmer from the flecks, which give a pinkish-gold flash to the polish in the sun. I really enjoyed this half of the collection - all of the polishes applied well, in either 2-3 coats. Wocka Wocka is probably the least unique, but still pretty, and the other five are completely gorgeous. If I had to pick one must-have from this half, I would go with Meep Meep Meep - but again, they are all really nice. Overall this half was a big hit for me! I was originally looking forward to the glitters more than the shimmer but strangely enough, I think the shimmers may have won out. 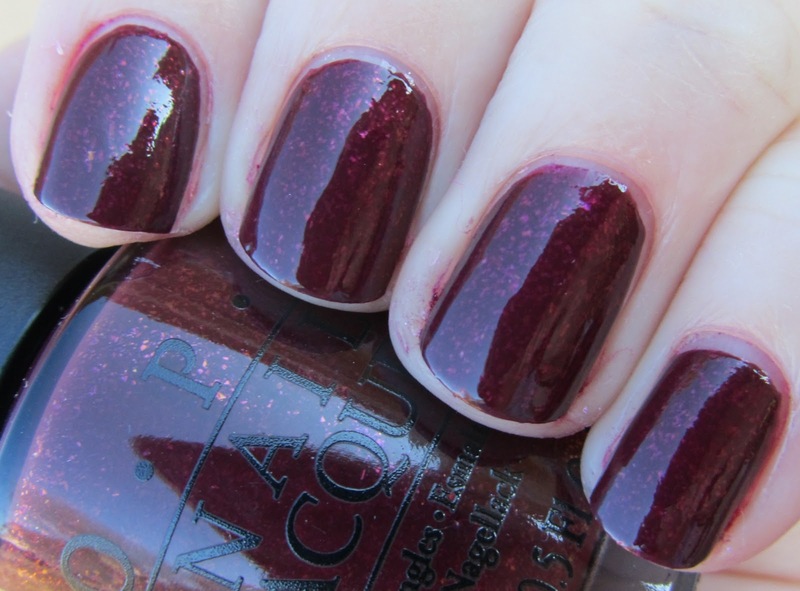 Although there is one glitter in particular that is a must-have as well... click here to see the glitters! Meep Meep Meep and Pepe's Purple Passion are my faves out of this bunch.